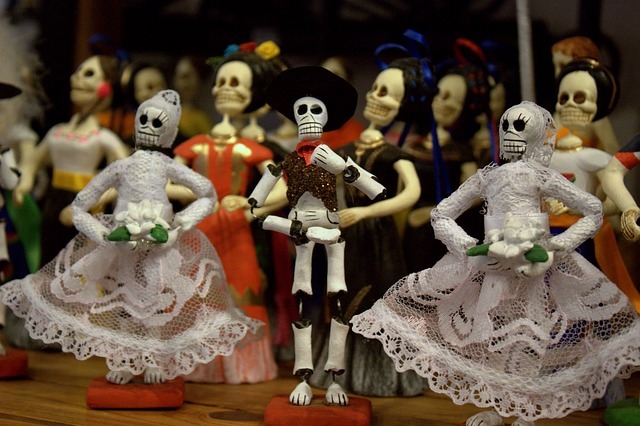 Traders Village and Univision celebrate “Dia De Los Muertos” (Day of the Dead). Mexican traditions honor the life of a departed family member and loved ones by celebrating on this special day. Dress up your entire Familia in Dia de los Muertos’ costumes and join us in the parade. Prizes will be awarded for the top three costumes. Build your best decorated Dia de los Muetros Altar with photos, Marigold flowers, Papel Picado, “Pan de Muerto” (Day of the Dead bread), Calaveras’s de Azucar (Sugar Skulls) and offer your loved ones their favorite foods. 1st, 2nd and 3rd place prizes will also be awarded for this contest. We also be playing traditional Mexican card game Loteria for prizes. Bring the kids to our “Zona de los Niño’s” for fun activities, and face painting. We do our best to ensure all event information is accurate and up-to-date. However, it’s a good idea to visit the website listed or contact the organization or venue to verify event details.